Maaaaaan guys Shelly nominated me for this award + I've never wanted to use the word "groovy" so many times at once. Flower child forever, right? I'm pretty pumped. 2. What field of work would be your worst nightmare? honestly? probably being an elementary school teacher. I don't know how y'all do it. I mean, I don't mind kids at camp or baseball games, but man, to have to put up with them, helicopter parents, and also be held responsible for like their entire lives. Like. that's a lot. No thank you. 4. What type of learner are you? Welp. I guess I'm just a learner? haha. I have always been a visual learner though, everything I do is color coded. I also will do anything to be outside. 5. A world without music or a world without books --which would you choose? Oh man. I don't know if I could survive in either. I'd have to say without music. I don't think I could live without books. But honestly both of those worlds sound icky. 6. Name one thing you stand for // okay I was going to do something funny here but I've been like leaving it blank + it's the reason I didn't have this live at 8 am because I can't decide if I make a joke or pick something serious. I'm going with both. I stand for flowers y'all. flowers are important. fresh good smelly ones. You need them in your life. just trust me. 8. Do you have a famous doppelgänger? Who? Janis Joplin. I have a bunch of people who refer to me as "Janis" oddly enough, I kinda love it. Don't worry, I don't have plans to overdose on heroin next year. 9. Who, besides your doppelgänger, would you want to play you in your biopic? ooooooooh. that's a good question. I would want Anna Kendrick for sure. I like to pretend I'm as funny as she is + based on her twitter, I think we'd be friends. For sure. 10. What is your sign? Do you feel that it fits you? If you could be another sign, which would you choose? I'm an Aquarius. I read somewhere once that Aquarius-es are aliens + that seemed pretty accurate. Let's find a definition. Here we go. According to this website I'm a rebel, in need of freedom, unique, obnoxiously honest, rarely jealous, + fiercely loyal. So that sounds about right, don't you think? OKAY SO NOW I NOMINATE PEOPLE Wahoooooo! Cass @ Jeans + A Tank Top. What is the weirdest question you've ever been asked in an interview (job or otherwise, it can't be this question)? If you could only read one book for the rest of ever, what book would you pick? What is your favorite ever summer memory? If you had $1,000,000 but had to spend it all in one week, what would you do with it? What is your favorite holiday (religious, birthday, or otherwise) + why? What is one interesting thing that people who read your blog probably don't know about you? Who is your biggest role model + why? Who's attending that imaginary dinner party people always ask about? HEY SO OKAY. making up questions is hard. I'm glad I'm not a hiring manager because I don't know what I would ask people in job interviews "why should I hire you?" would probably be it. Like. convince me. Also, I think everyone should answer those questions. Ready? GO! Happy Monday everyone! 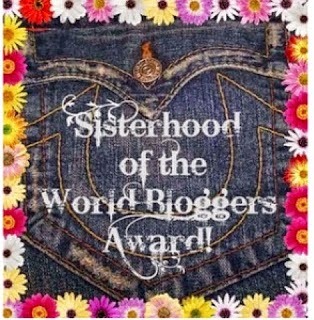 Posted by Kasey At The Bat Labels: about me , blogger award , blogger best friends , link up?